List of Metals Periodic Table What is Calcium as on the Periodic Table? A silvery, moderately hard metallic element that constitutes approximately 3.5% of the earth's crust and is a basic component of most animals and plants. Calcium is essential to the formation and maintenance of strong bones and teeth. It occurs naturally in limestone, gypsum, and fluorite, and its compounds are used to make plaster, quicklime, cement, and metallurgic and electronic materials. Calcium is less chemically reactive than alkaline metals and than the other alkaline-earth metals. Refer to Calcium Reaction for its reaction to Water, Oxygen & Acids. The Atomic Number of this element is 20 and the Element Symbol is Ca. The name 'Calcium' originates from the Latin words ‘calx’ or 'calcis' meaning limestone. Calcium compounds, such as marble, chalk, lime (calcium oxide), limestone (calcium carbonate) and gypsum have been used in construction and for decoration since antiquity. Elements can be classified based on their physical states (States of Matter) e.g. gas, solid or liquid. This element is a solid. Calcium is classified as an "Alkaline Earth Metals" which are located in Group 2 elements of the Periodic Table. An Element classified as an Alkaline Earth Metals are found in the Earth’s crust, but not in the elemental form as they are so reactive. Instead, they are widely distributed in rock structures. For additional facts and information refer to Calcium Properties. Nearly 75% of all the elements in the Periodic Table are classified as metals which are detailed in the List of Metals. Compounds of calcium such as limestone, chalk, marble and gypsum plaster have been in use since antiquity. The Ancient Romans discovered concrete by combining a mixture of lime (calcium hydroxide) with volcanic ash and a few pieces of rock. Without concrete fabulous Roman buildings such as the Pantheon and the Colosseum could not have been built. 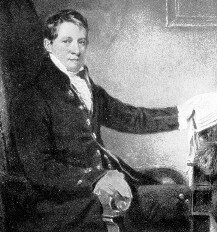 In 1808 Sir Humphry Davy isolated the element Calcium by the electrolysis of a mixture of lime and mercuric oxide (HgO). Interesting information is contained in the following table of Medical Uses of Calcium, Health and Treatments. Calcium supplements are useful for preventing osteoporosis and possibly colon cancer. It is also used for treating PMS, colon polyps and in lowering high blood pressure. A useful reference providing information regarding the medical uses of Calcium, associated health issues and disorders and treatments using calcium preparations. Calcium oxide (lime, quicklime) (CaO). Lime is prepared by strongly heating calcium carbonate (limestone) in large furnaces called kilns. Pure calcium hydroxide is a light white powder. It is sparingly soluble in water, forming a solution called limewater, which is often used in medicine as a mild alkali. Cement. When limestone to which clay and sand have been added in certain proportions is burned until it is partly fused (some natural marl is already of about the right composition), and the clinker so produced is ground to powder, the product is called cement. Bleaching powder (CaOCl2). When Chlorine acts upon a solution of calcium hydroxide the reaction is similar to that which occurs between chlorine and Potassium hydroxide. Calcium was discovered by Sir Humphry Davy in 1808 by electrolysis of quicklime. Check out Calcium on the Periodic Table which arranges each chemical element according to its atomic number, as based on the Periodic Law, so that chemical elements with similar properties are in the same column. Our Periodic Table is simple to use - just click on the symbol for Calcium as on the Periodic Table for additional information and for an instant comparison of the Atomic Weight, Melting Point, Boiling Point and Mass - G/cc with any other element. An invaluable source of facts and information as a Chemistry reference guide. The Standardised Periodic Table in use today was agreed by the International Union of Pure Applied Chemistry, IUPAC, in 1985 and now recognises more periods and elements than Dimitri Mendeleev knew in his day in his day but still all fitting into his concept of the "Periodic Table" in which Calcium is just one element that can be found. These articles contain facts and information relating to Calcium and each of the other elements including the Periodic Symbol, group, classification, properties and atomic number which is often referred to as the Periodic Table Number. Test your knowledge of chemistry and the Periodic Table by completing the Element Symbols and Atomic Numbers on our Blank Periodic Table. Chemistry students will also find a helpful section on Chemical Formulas.